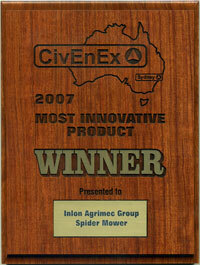 The Spider Mower has received recognition and awards for its innovation from around the world. For more information follow this link to the Red Dot Design Award website and enter "Spider ILD01" in the search box. A selection of awards from various exhibitions and competitions from around the world.